In a world where social media marketing is king, promotional products may seem old school to some business owners. Though tactile brand marketing has been around much longer than Facebook or Twitter, branded merchandise is far from obsolete. As a sensory medium, it is an extremely valuable and effective way to spread a brand name simply because it creates a longer-lasting impression when compared to the fickle nature of TV and print ads. Those who receive branded merchandise are 83% more likely to do business with the brand. The moral of the story? These products do their job and they do it well. Taken together, these figures demonstrate that the value of product-based advertising lies in its ability to make a positive brand impression. Whether it’s by generating new business or simply bringing about brand exposure, promotional products elevate your advertising strategy. Promotional products can serve several purposes in a marketing plan. Tactile marketing expands brand impact to a larger audience; a single consumer carrying a branded product can expose multitudes of others to the logo. Products can be used in direct mailing programs to entice people to open the envelope. Promotional gifts make customers feel special and appreciated, thereby improving brand image. And aside from pleasing customers, personalized promotional products can also boost employee morale and incentivize performance improvement. The Advertising Specialty Institute Global Ad Impression Study 2016 revealed which promotional products consumers had received in the previous 12 months. In America, 58% percent of respondents got promotional shirts, 53% received custom drinkware, and 50% were awarded branded pens and pencils, bags and/or outerwear. These popular go-to categories are sure to be crowd pleasers, but what if you’re conducting a more targeted marketing campaign? Promotional wall calendars tend to be more popular with consumers ages 55 and older, and of those who own a branded calendar, 76% display it prominently in their home. Desk accessories fare well with millennials aged 21-34, as do promotional mugs and branded flash drives. For consumers under 44, outerwear is sited as the most influential when it comes to making purchasing decisions. 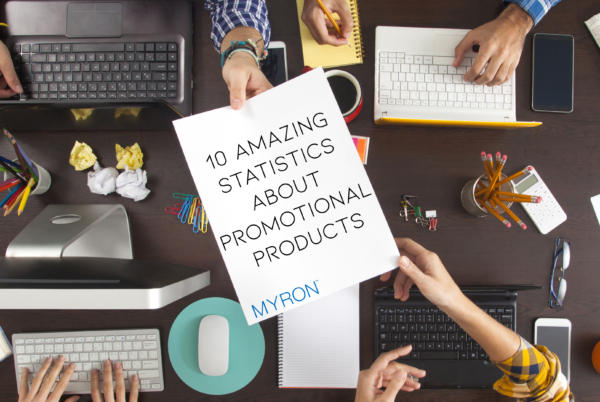 So, remember, targeting the right audience with the right promotional gift can considerably enhance a campaign. For more insights into promotional product market segments explore the illuminating research from the Advertising Specialty Institute. Knowing the facts and figures will help you develop a successful campaign tailored specifically to your business.